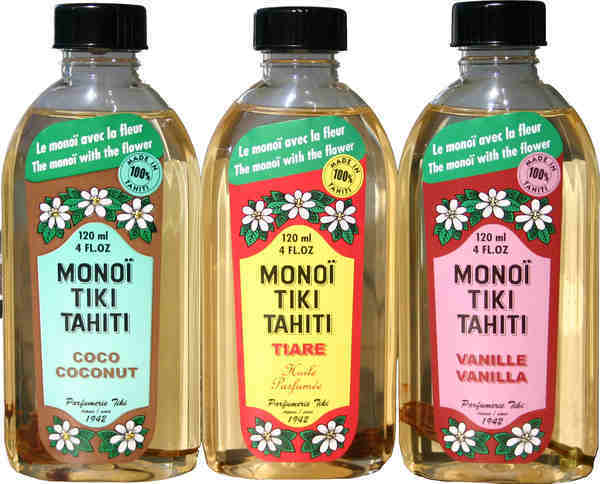 The Monoi Tiki Oil in which the Tiare flower has gently infused is the Polynesian secret of a nourished and smooth skin. It is sublimated in this unique textured gel. Enriched with sugar crystals and Tahiti black sand, this scrub gently removes dead cells and helps to recover a smooth and radiant skin. Beauty ritual : Once or twice per week, apply on moist skin. Gently massage with a circular motion. Rinse with clear water. This soft formula can be also used on suntanned skin to enhance and uniform the tan.